Edgewater Gardens Apartment Homes offers 1 & 2 bedroom apartments for rent in Long Branch, NJ. Each of our apartment homes offers private entrances and air conditioning, as well other features and finishes designed to offer something pleasing for everyone in your household. 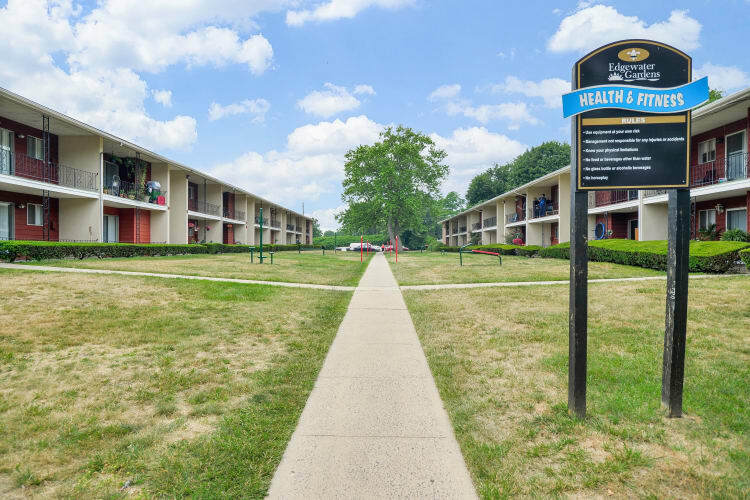 Whether relaxing indoors in the comfort of your apartment, or taking advantage of our garages and outdoor fitness stations, Edgewater Gardens Apartment Homes has what you want to live well, both in your home and out. Explore all of the community amenities and apartment features available. Contact us soon to learn more about apartments in Long Branch. We can’t wait to welcome you to the community!